We all look for special ways to manage behavior in our classrooms. We wanted to show you a system our kids really liked. It’s called “Over the Moon Behavior”. We started by explaining what “over the moon” means. “Over the moon” means very very happy. You are so happy that you could just float away into space – over the moon. The kids think this is a very exciting concept – floating into space! 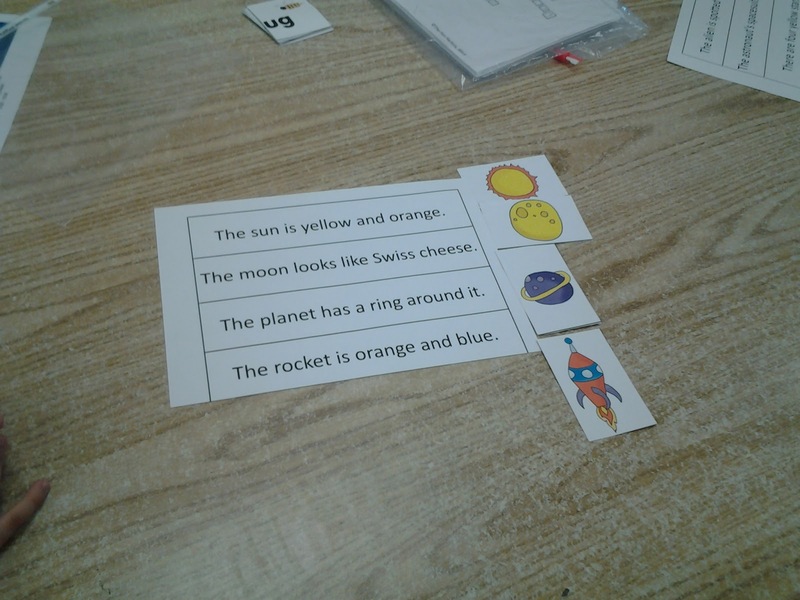 After showing all five levels of “space travel” and explaining each one, we gave each child a clothespin with a little rocketship, containing their name, glued to it. Everyone starts the day on the My behavior is ready for lift-off card. During the day, they move their rocketships up or down depending on their behavior. If they get a warning for a rule they are familiar with, they move down one card to My behavior is headed for a crash landing. They are to think about their behavior and try to recover their flight plan. If an additional warning is given they move their rocketship to My behavior is in the danger zone card. When landing in the danger zone a message is sent to the command center – home. On the other hand when they are having a good day they can move their rocketship up to My behavior is soaring high, and on up to My behavior is over the moon. The results of landing on over the moon also gets a message sent to the command center stating the mission has been a success! To help keep track of all the little space travelers, we have a weekly chart with all of their names and the various behavior levels. We code behaviors that we are focusing on for the week and record the code in the box next to their name and under the behavior level. For example if Mike ends his day on Monday headed for a crash landing because he was not paying attention, then we write 1 (or whatever number we have coded for that behavior – not paying attention) next to Mike’s name and under crash landing on Monday. That way we know exactly what his behavior has been and why. This really helps when we have those parent conferences with Mike’s mom. In addition to us keeping track of their behavior, we also have a form for each student to fill out during reflection time at the end of each day. This form goes home every week in their folder. The kids really like the concept of floating into space, over the moon. We really like the documentation aspect and the fact that the kids feel in control of their own behavior. 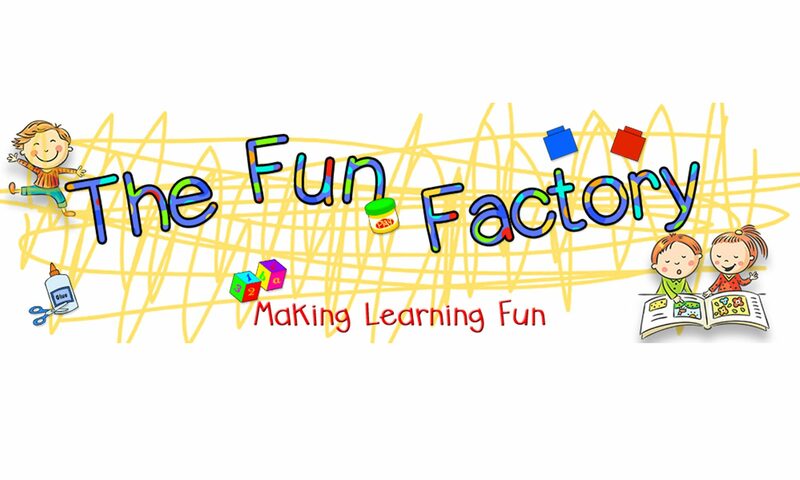 You can get our complete behavior system in our store The Fun Factory on TpT by clicking the picture below. 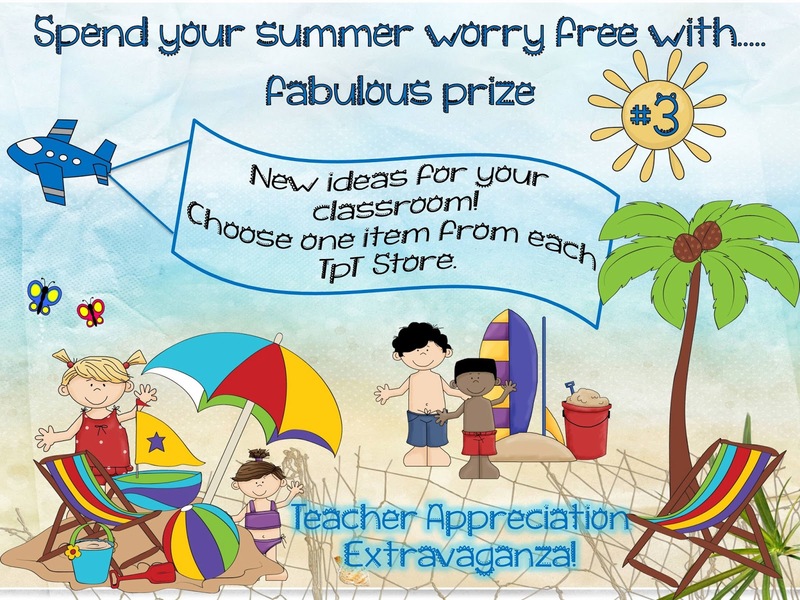 Teachers Caring For Teachers – that’s what is happening at TpT right now. As soon as the news about the tornado in Oklahoma broke, our bloggy friend Danielle over at Crayonbox Learning got busy organizing a fundraiser so teachers all over the world could donate their great products to help the devastated schools in Moore, Oklahoma. You can check out her blog to get more details. 100% of the proceeds will be donated to the Moore School District to help with the many, many needs of those teachers and students. Enough products were donated to make 4 different bundles of materials that range in subjects, with the majority meeting Common Core Standards. The bundles are separated by age group. There are 2 bundles for K-2 and 2 bundles for 3-6. Each bundle is valued well over $100.00 and will be made available to you for a $25.00 donation. These bundles will be available for a limited time, beginning Friday, May 24th through Friday June 1st, 2013. If you would like to purchase 1 or more bundles please click on the links below for more descriptions of the products and an opportunity to help a fellow teacher that has lost everything. Again we want to thank Danielle at Crayonbox Learning for getting this all organised and Wendy from Teacher’s Toolkit for designing such beautiful covers for all of the outstanding bundles. Thank you again for your generosity and your caring spirit during this difficult time. I have many years in the classroom. During those years, I’ve had many “pencil-stress” moments. Know what I mean??? I’ve developed many ways to eliminate “pencil-stress” which I share with new teachers all the time. However, NEVER, did I say, NEVER have I ever come across a pencil sharpener like this one!!! Please know that I do not work for this company, nor do I even know the person. I was lucky enough to be given one to try out in my classroom. Now the kids will not settle for any pencil that has not been sharpened with this sharpener. What is even better, is that the person who designed the sharpener is a teacher himself. Isn’t that the way we end up with things that really make a difference for us? Another teacher!! No more loud grinding, no more grinding a new pencil until it’s a stub because it won’t sharpen, no more turning the little wheels to try to fit the right size opening, no more burning out motors on the “top of the line” (ha!) electric sharpeners!!!! Below is a picture. It attaches to any table. The silver “thing” (don’t know what it is officially called) pulls out and holds the pencil while you sharpen. The “thing” moves and as you sharpen. It slides the pencil to the blades. When the pencil is “ready” (my coworker says when the javelin is ready), the handle still spins but there is no tension. 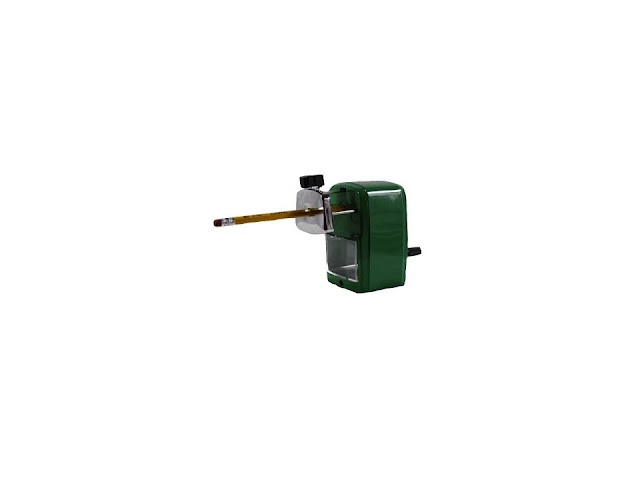 Also, there is a little “pincher” that adjusts to the size of the pencil so there’s no “dialing” to find the right size hole! The best part is that if your school buys a case, it comes out to only $13.99 for each sharpener. My principal is going to buy them for every classroom and will save over $600 in the budget next year! 🙂 I’m sure we’ll be able to help find other ways to spend that $600, tee hee hee! Troy, (I think that’s his name), I want to buy stock in your company because I think you are going to be a millionaire!! Isn’t it great to hear about something so practical, inexpensive, AND is made by a teacher??!! They also have rafflecopters for give-aways sometimes so be sure to check out the site. I hope I’ve made my POINT!!! 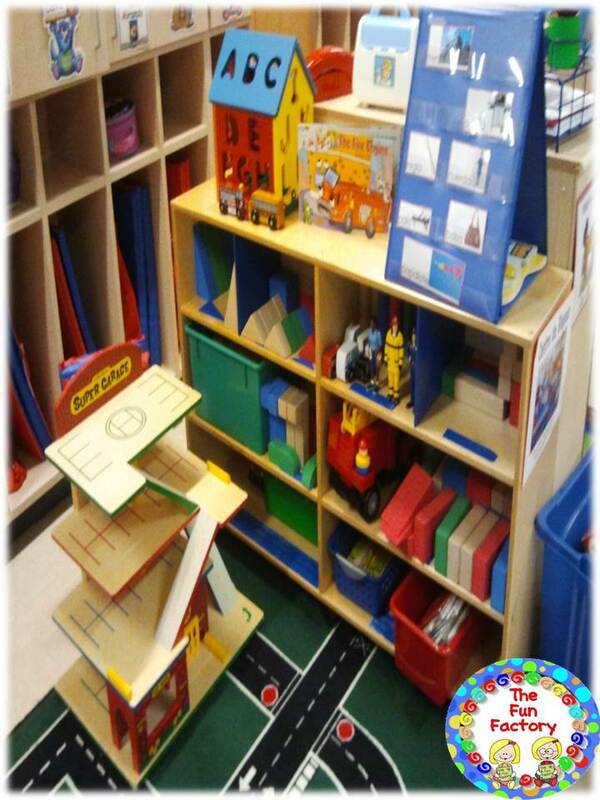 The company name is Classroom Friendly Supplies and here is the website. In our 2 families teachers are really appreciated – we have 6 teachers including Susan and myself. Grade levels include PK to college level. 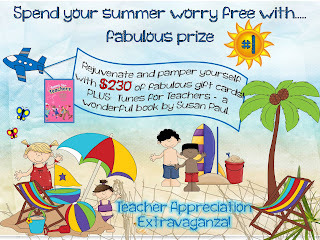 To celebrate you and all the wonderful teachers out there, we have joined with our best bloggy friends to offer some FANTASTIC prizes to pamper yourself, plus a freebie on each blog. Lots of gift cards to use just for you and a copy of Tunes for Teachers authored by Susan (The Fun Factory). The next prize is custom-made room decor. You choose the theme and we will create some fabulous decorations just for you! Plus an activity from each of us to help you get next year started off with a bang. The third prize is a shopping spree in each of our TpT stores. You may choose any item worth $10.00 or under from each store. Good Luck, we hope you will have fun gathering your freebies and we hope YOU are the winner of at least one prize! Here is our fun end of the year freebie to thank you for stopping by. Just For Fun Literacy and Math is a review packet of beginning blends, sight words and some addition and subtraction. We hope your kids have fun with these Super Hero activities. Just click on the picture below to download your freebie. Now click on the beach ball below to bounce on over to our friend Samantha at Ms Smarty Pants to collect your next freebie. 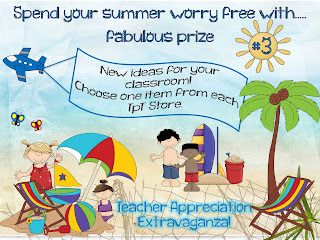 PS Don’t forget TpT is having a site-wide sale on the 7th and 8th. 28% savings when you enter the code TAD13. 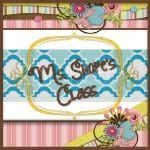 Welcome to Calming the Chaos Blog Hop hosted by 2peasandadog. All of us bloggers have come together to share our top tips for making the last month of school run smoothly. 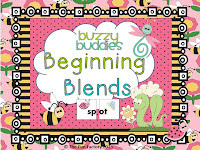 Visit each of our blogs to learn something new and catch a freebie or two! Happy Blogging! The last two weeks of school can be very trying for teachers and students. We have had a whole year of learning and everyone is ready for SUMMER BREAK! We have done a lot with Fairy Tales during the year, the kids love them and by now know the stories backwards and forwards. One of our district objectives is “Child increasingly interacts and communicates with peers to initiate pretend play scenarios that share a common plan and goal.” This fit perfectly into my plan! The students work together to plan and produce a short skit to act out a Fairy Tale. 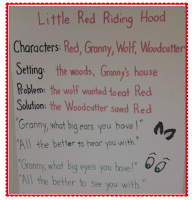 During the first week we do a shared writing of three different Fairy Tales (we use our social studies skills and vote on which three stories we want). During the shared writing we incorporate the characters, setting, problem and solution. The students then decide which story they want to work on and which character they want to portray. 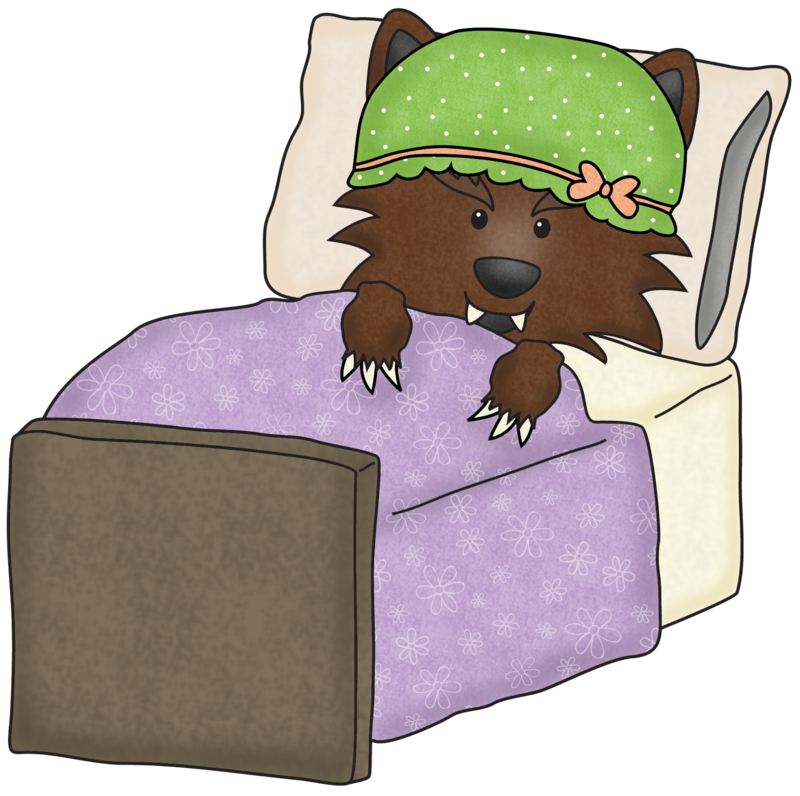 The second week, they must then draw a picture of themselves as the character they chose and write why they would make a good – wolf, Baby Bear, etc. 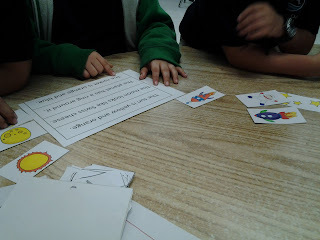 They divide into story groups, and after receiving approval of character selection from me, they start to work together on a common plan and goal – putting on a “play” for their classmates. 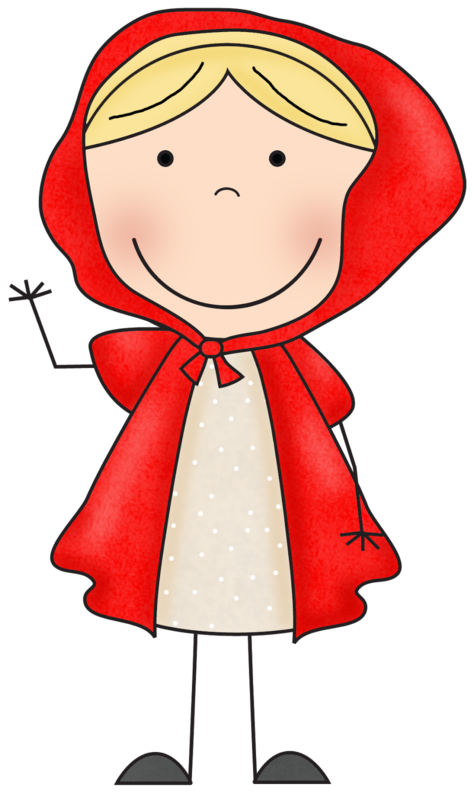 I send a letter home explaining the project and asking parents to help with simple props and costumes if the child wants to wear something special ( a red shirt for Little Red Riding Hood, a pink one for one of the three little pigs, ears on a headband for the wolf). 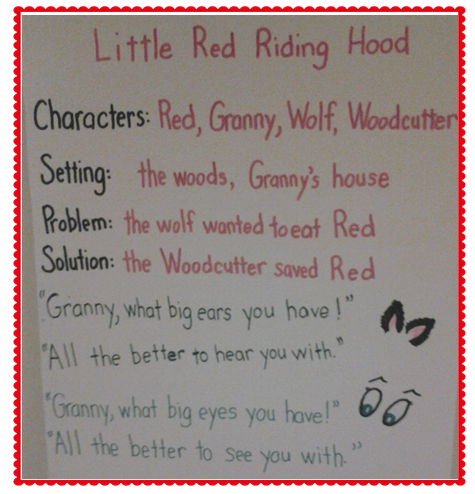 They all do a great job and have fun retelling one of their favorite stories. As a thank you for stopping by. 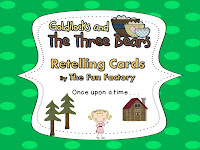 Click on the picture below for a free copy of Goldilocks and the Three Bears retelling cards. Do “other people” think your kids are just playing in all those centers you’ve worked so hard on? Our block center is a natural for math and even science, but we want to get some literacy in there too. 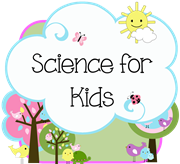 We have some vocabulary words posted that describe our current science objective – motion – “round and round, zig zag, curve”. We added a parking garage so the kids can see force and motion in action. To sneak in some literacy, we added this survey next to the parking garage on the side of a bookcase. The kids really love this one – recreating a scene from a favorite storybook. All you need is a copy of a book that the kids are familiar with, some simple “props”. In this case we have a red bead for the “magic pebble” and some pictures of the characters from Sylvester and the Magic Pebble. This is a picture of another teacher’s block center with books, puzzles and a basket of writing materials for labeling structures or roads. What I particularly like about her block center is she has environmental print and posters of different looking structures posted low for her kids to look at while they are working with their blocks. Please leave us a comment and tell us about the fun things your kids do in your centers. 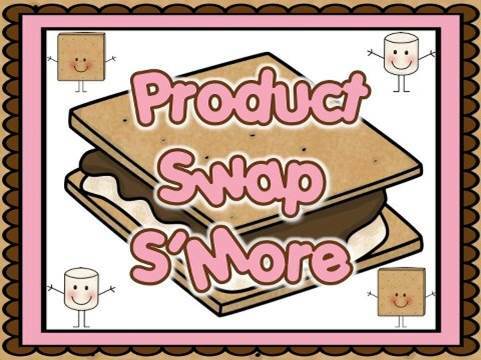 Welcome to our 2nd Product Swap S’more! Be sure to take a look at all the pictures and then enter the rafflecopter for a chance to win this product and a free product from our store! Anyway, her product was FABulous and the kids had (you guessed it)….FUN learning while using her activities. 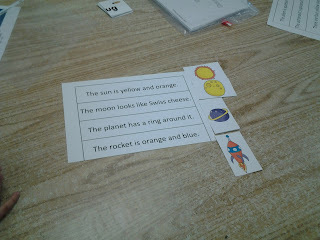 This packet was Take Me to Your Reader which is a literacy packet using space-themed activities. 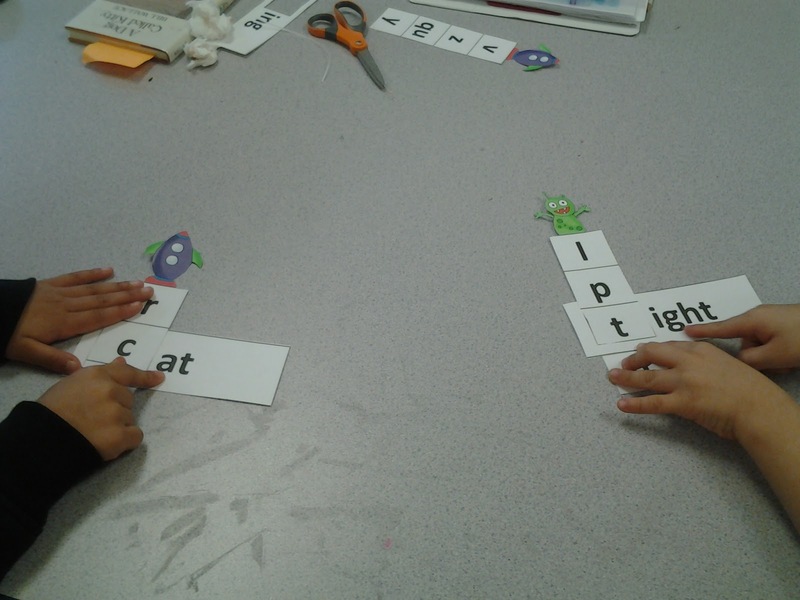 There is a gameboard, sentences to match pictures, word family sliders, digraph and syllable activities. The kids especially liked the sliders because of the cute pictures on the sliders. They would say, “Ooooo, I want the monster one.” Or, “I want the spaceship!” They have done many word family sliders during the year but with the cute graphics, they were motivated to make ALL the words. 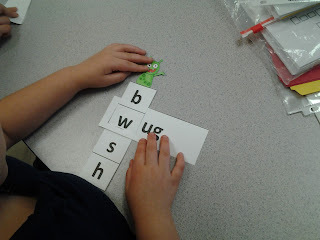 Not only did they make the words, but they wrote them, went through and read them, and then marked through the “nonsense” words! Big bang for very little effort on my part. Here are some pictures of the kiddos at work……. 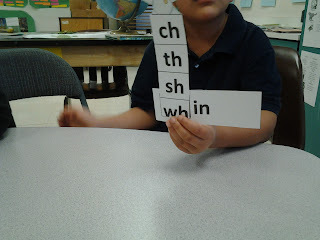 These are the word family and digraph sliders. Showing off for the camera! Say CHEESE! Reading the sentences and matching the pictures. After they did this, I had them write the sentences and then make up their own sentences with the pictures! 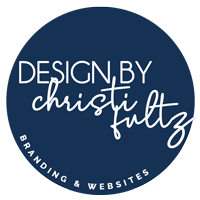 Take a look at Cyndie’s blog and follow her! You’ll be glad you did!! Cyndie has been sweet enough to allow us to give this fun packet away as a gift. If you would like your very own for free, then enter the rafflecopter below. You can also enter to win a digital product of your choice from The Fun Factory. 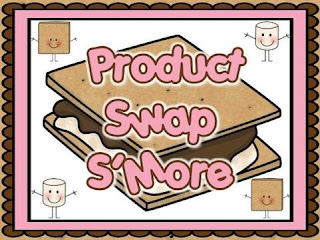 We would like to thank Samantha over at Ms. Smarty Pants for organizing this product swap. 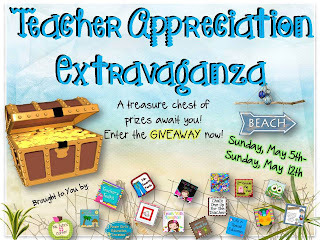 Next is the “Take and Make” freebie which will be good until next Thursday, April 11th. 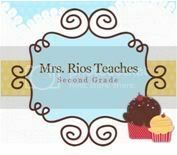 For today, we have teamed up with another of our Blogger-Buddies, 2nd Grade Pad. We did a “Product Swap” and it has been sooooooo much (ready for it?) FUN!!!! This product has 5 literacy workstations ready to print and use!!!! It includes activities that include skills for rhyming, beginning sounds, blends, a board game and an activity for making new words. Wow! My kids have loved the activities. First, I used the activities in small group instruction. Since I have so many different levels (as we ALL do, right? ), the activities were perfect in the small groups. After they were familiar with the games, activities etc., I placed them in the centers. 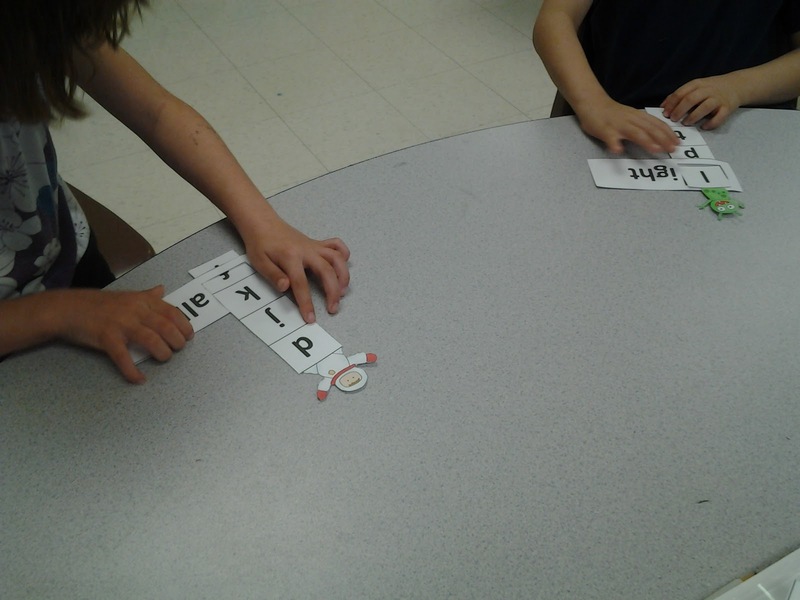 Rhyming Game- Students playing independently in a center. Here is how I organized the game….I put the directions in a page protector and the cards in a baggie. Then the baggie goes into the page protector for storage. It also makes it easy to “file away” in a binder! This is “What’s Missing”. 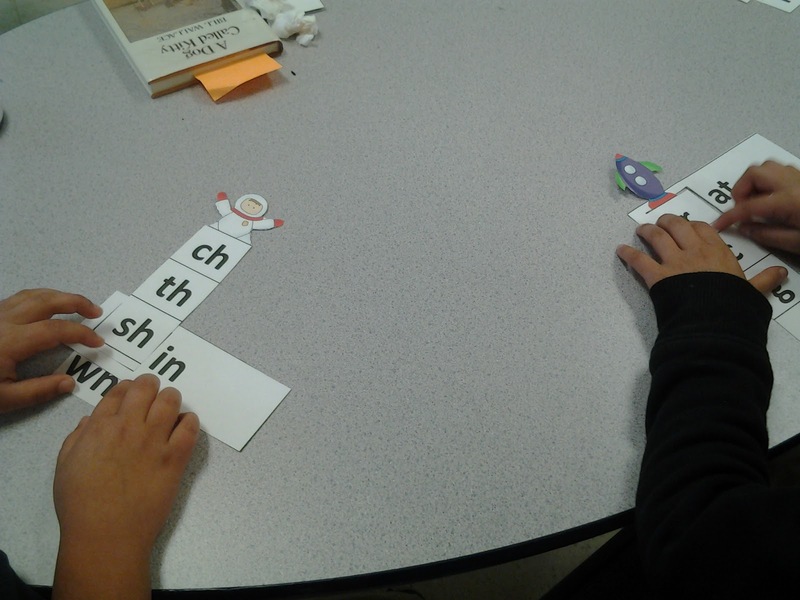 Again, since our laminator is broken, I placed the pages in page protectors and let the kids use vis-a-vis. Then they wrote on their dry erase boards. 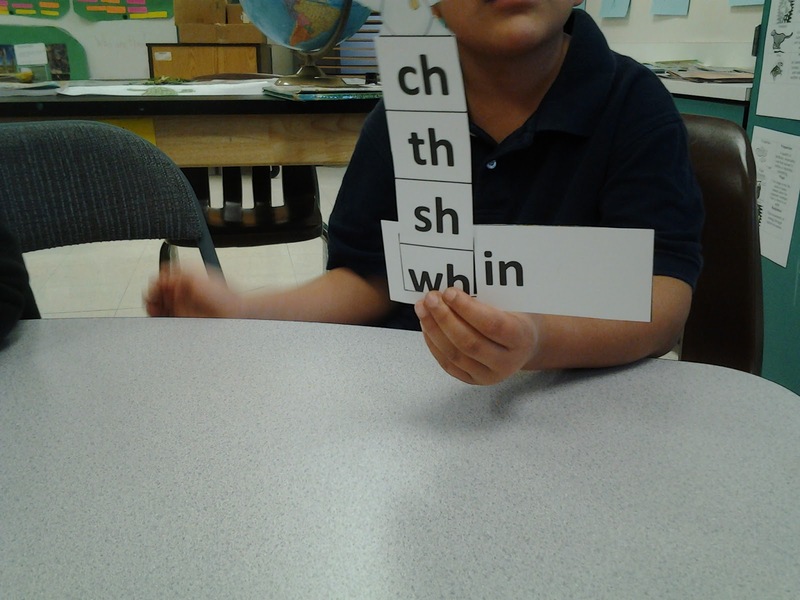 This is making new words by changing one letter. I used this in my small group instruction and had the kids write on dry erase boards. This is the identifying blends card game. They loved it!!! Thanks again to the 2nd Grade Pad for a WONDERFUL bunch of great and FUN activities!!!!!!!! 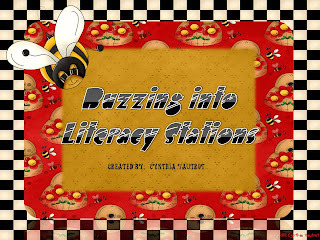 Cynthia at the 2nd Grade Pad has generously offered this wonderful packet for a FREE drawing. For your chances to win this and also a FREE product from our store, enter the Rafflecopter below. Good luck! 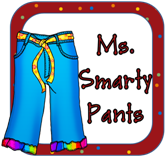 We would also like to thank Samantha over at Ms Smarty Pants for organizing this product swap. Take and Make Linky Party!! Speaking of Parties………..
We are linking up with our blog-buddy, 2nd Grade Pad for “Thursday Take and Make”. 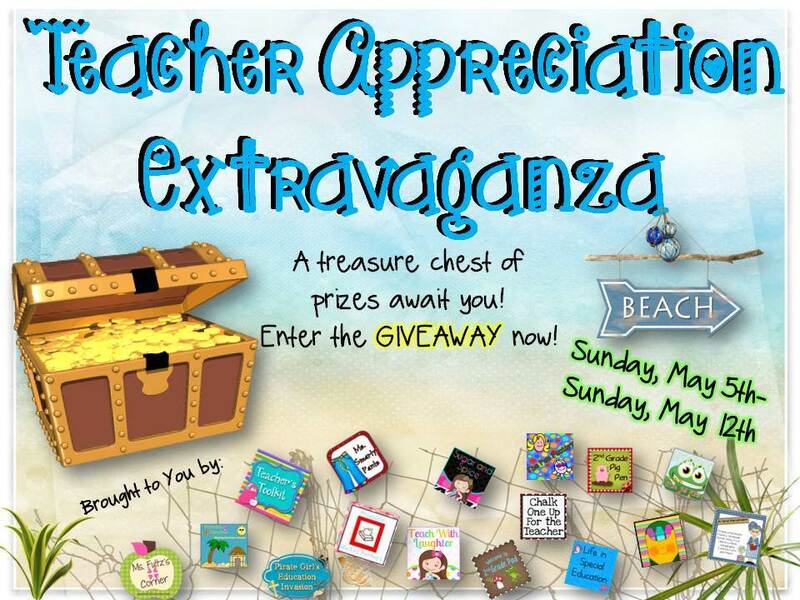 You’ll love all the FUN things and lots of freebies! 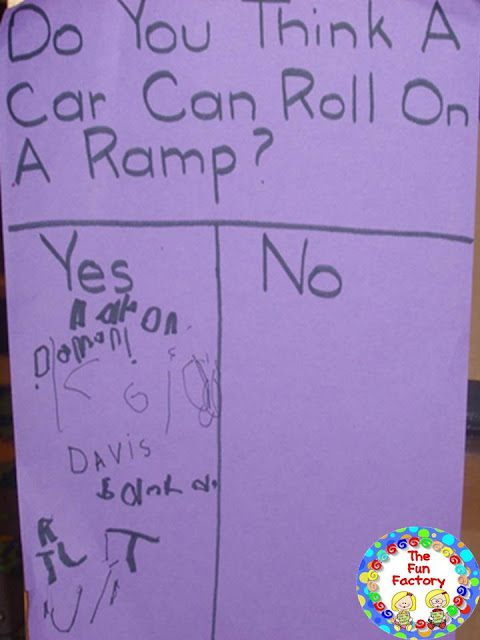 Click on the picture below to go to 2nd Grade Pad’s Take it and Make it for more fun activities! 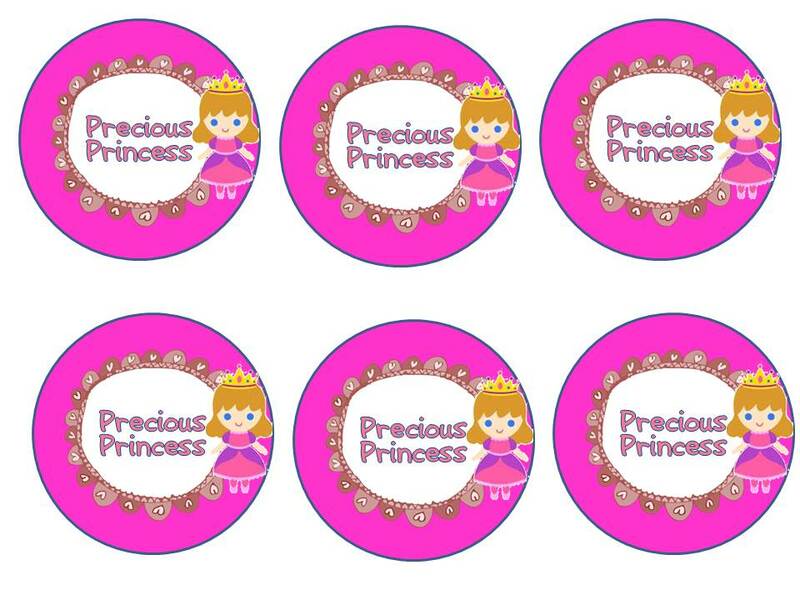 You will find printable patterns to use for baby showers, birthdays or reveal parties. 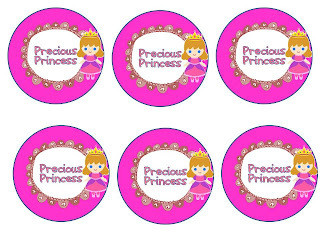 The patterns are ready to print, cut out and use. For the banner, I bought the decorative wire gift wrap ($1.00 at the $ store). Then used tiny clothespins to attach the banner. DONE!!! 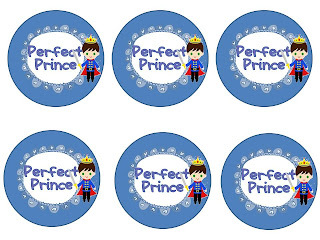 Perfect for the “Perfect Prince” or the “Precious Princess”! The last pattern can be used on a skewer or coffee stirrer. I placed mine into cupcakes, chicken strips, etc. that I was serving at the party. They made everything look so festive. 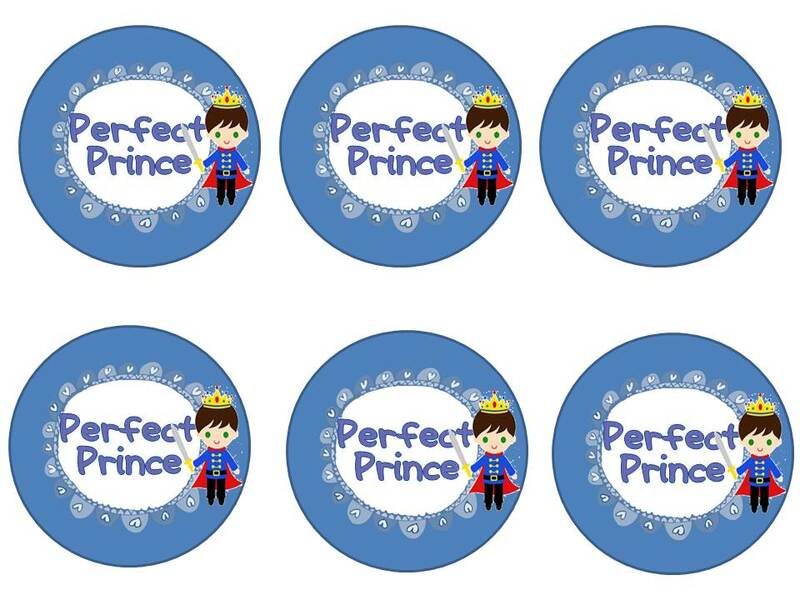 Again, they are ready to print, cut out, tape on the skewer and you are through! Click on the picture below for all these FUN patterns. Have FUN and thanks for stopping by. Please follow us for more FUN things in the future! National Autism Awareness Month is recognized during the month of April. We would like to highlight the growing need for concern and awareness about Autism Spectrum Disorder. Autism diagnoses are on the rise. Let’s do what we can to help! We, along with some of our favorite “bloggie friends”, want to do our part! Join us in our Blog Hop for a chance to win a grand prize and many quality freebie products! Before you leave to enter the giveaway, be sure to get your freebie from us (The Fun Factory) at the end of this post. You know I love quotes! Here is a special one just for this event. “… Autism is a challenge, but certainly not a devastating one. 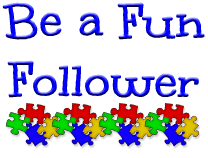 For a freebie from The Fun Factory, follow us and then click on the link below. Enjoy! We hope you will also become a follower of our store to receive updates of new freebies and products! We would especially like to Thank Danielle over at Crayonbox Learning for organizing this great linky party for us.